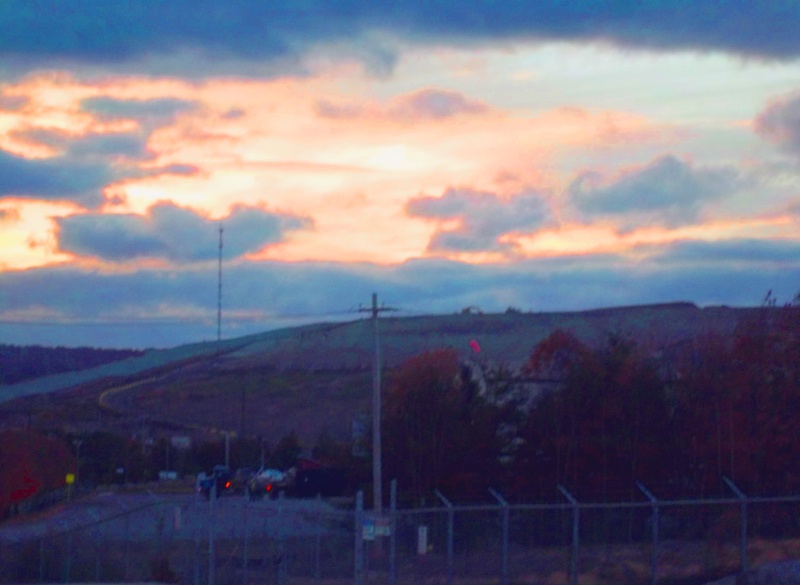 Rhode Island – The Rhode Island Resource Recovery Corporation (RIRRC) continues to move the state’s Central Landfill and recycling facilities forward. Garnering the industry Gold Standard Award for its recycling facility and announcing construction on a $40 million leachate (wastewater treatment) plant, the organization continues to develop and improve its facilities at the Johnston site. 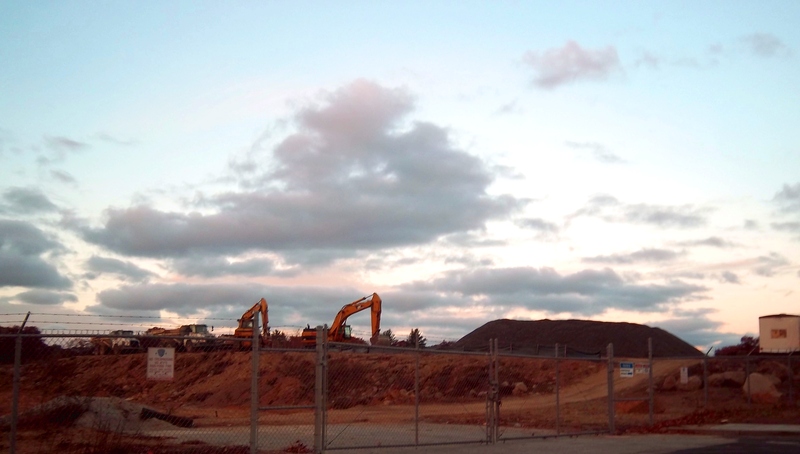 A quasi-state environmental agency tasked with providing Rhode Island with environmentally sound programs and waste management facilities, RIRRC broke ground last week on its newest facility at the landfill. Announcing commencement on the build of a $40 Million wastewater treatment facility, RIRRC began construction last week on an on-site leachate pre-treatment plant, a major advancement for the site overall, allowing more environmentally friendly processes, advancing regulatory compliance and saving money by treating the leachate at the source. 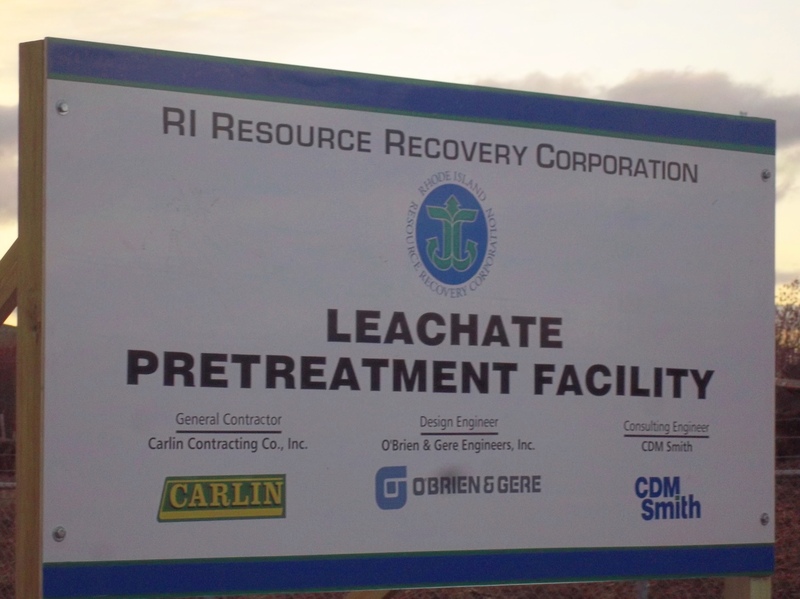 RIRRC currently holds a permit for discharge with the City of Cranston, but contracted with the Narraganset Bay Commission to discharge at their Field’s Point Facility once the new plant is complete. Leachate is produced from water already present in the waste and from natural uncontrollable sources such as rainwater. It includes organic and inorganic compounds that are dissolved or remain, leaving the surrounding ground and surface waters susceptible to pollutants. “If heavy nitrogen goes into the waterways, there are algae blooms and fish kills and that’s really the main reason for the tighter limits on nitrogen,” said O’Connell. The facility is being funded by prior bond approval. The $40 million borrowed includes infrastructure costs estimated at $10 million and the wastewater treatment plant at $26-27 million, with the remainder being held as a project buffer. Infrastructure costs, per O’Connell included the installation of storage tanks on site to equalize flow during increased and heavy rainfall periods and a $2 million piping system, already complete, connecting the site with the NBC’s Field’s Point Facility. Each discharge station sets limits for wastewater discharge through its facility, and the RIRRC site and bid process were designed with NBC limits in mind. The RIRRC facilities and operational costs are funded wholly through fees collected for the services they provide. The facility construction and design were planned to meet the new standards set by the Environmental Protection Agency for wastewater treatment. Utilizing green principles the plant itself was designed to create an energy efficient system capable of properly treating Resource Recovery wastewater before it is released into the municipal sewer system. In a release prior to groundbreaking, the agency touted the facility’s environmental protection and awareness measures, designed with a focus on green principles, leading to long-term environmental stability. According to O’Connell, construction will involve the use of recycled and environmentally friendly materials whenever and wherever possible. “We bid the project so that they would employ the latest environmentally sound processes,” he said. Part of RIRRC’s long-term plan to comply with wastewater discharge limitations, the plant will use biological treatment technology and green principles to create an efficient pre-treatment system, reducing nitrogen components in the wastewater. The construction phase of the project, expected to take anywhere from 15 to 18 months is projected to employ approximately 160 Rhode Island workers in the construction sector. Once complete, operation of the facility which is not labor-intensive, requiring monitoring and maintenance, will employ a half dozen workers. The project through its initial planning and design phase has been in the making for more than three years. Working with regulators, the Narragansett Bay Commission, design consultants and engineers, the project was built on sound and tested technology. Two out-of-state firms, Carlin Contracting Company, Inc. of Connecticut and O’Brien & Gere Engineers, Inc. of New York were chosen as the design/build team for the project. The two firms will provide engineering, construction, control systems integration, commissioning and operational expertise for the project. The project target completion is early 2015. The Solid Waste Association of North America (SWANA) awarded Rhode Island Resource Recovery Corporation the Gold “Excellence Award” in September, recognizing the agency for recycling systems excellence. The award was accepted September 19th at SWANA’s national conference with Kite and Brian Dubis, MRF Operations Supervisor, on hand to accept the award. The award was based on two innovative measures taken by RIRRC, the single-stream Recycle Together RI program and installation of more efficient machinery. In June of 2012, RIRRC converted its recycling program and Materials Recycling Facility (MRF) from a dual-stream recycling system to single stream, leading to the a more efficient recycling process and recognition by industry colleagues and experts. RIRRC accomplished the Transition from dual stream recycling to the more efficient automated, 50 tons per hour single stream facility, with cost-saving measures in mind. 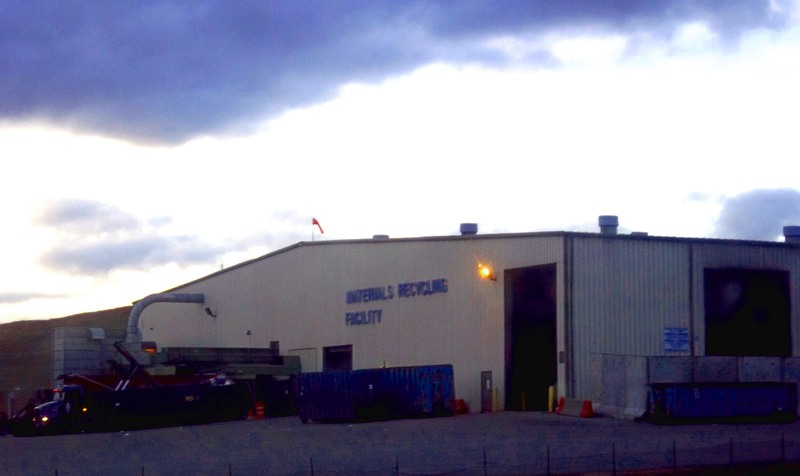 Instead of building a new facility, the agency retrofitted the present MRF facility, at half the cost. The Rhode Island facility was the first in the country to employ a ballistic separator, formerly only used in Europe and now being installed in recycling facilities across the country. The ballistic separator further separates the paper from containers and was installed by the RIRRC contractor, Van Dyk Recycling Solutions when designing the facility. The machinery did not fit into the RIRRC budget, but the contractor, seeing the need and opportunity for the Johnston facility, put the separator in, without an increase in cost to the agency.